Grants Kennebago Camps is located 9 miles behind a controlled gate where you can still find the old- fashioned hospitality of a traditional sporting camp. 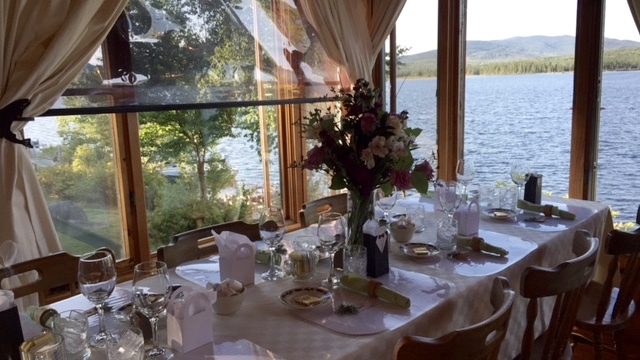 Your stay with us includes 3 home cooked meals a day and housekeeping service so you have plenty of time to fish, swim, hike, boat, explore and just plain relax in the Western Mountains of Maine. Many of our guests come back year after year. 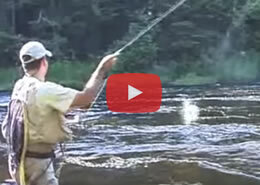 Some come for the exceptional trout and salmon fishing on our lakes and rivers. Some bring their families to enjoy the natural beauty, peaceful atmosphere and the friendly, unhurried charm of camp life… and some just come to get away from it all, paddle a canoe, see a moose or a loon, go for a hike or just lay in a hammock and read a good book. Whatever your reason for wanting to get away, we hope that you choose to get away at Grant’s Camps. We would love to see you and to share with you the breathtaking, natural beauty of the Kennebago lakes and mountains. There is something here for everyone. We offer many special getaway packages and there is something for everyone. Contact us for package rates & information. Experience weddings, reunions and special events with your family and friends by a beautiful lake and tranquil mountains. Your stay with us includes three home-cooked meals a day served in our comfortable dining room overlooking the water.